The history of robots combines the best of science fiction and real-life technology. From Isaac Asimov to modern industrial robots, keep reading to explore the fascinating history of robotics. When many Americans think of the word “robot,” years of science fiction portrayals and action movies immediately come to mind. And while science fiction often misses the mark, the history of robots actually owes quite a debt to science fiction masters like Isaac Asimov. However, to truly understand the history and evolution of robotics, we have to define the term. That’s surprisingly difficult to do. For our purposes, we’re going to define a robot as a machine that’s capable of carrying out routine or complex actions that are programmed by engineers. Today, robots can be used for surgery, massage therapy, space exploration, manufacturing, and code analysis, but the earliest robots were far more primitive — they were tools that could tell time or automatons that could perform for entertainment. Broadly defined, humans have been developing robotics and automata for hundreds of years. With this in mind, let’s get into the curious history of robots and how far we’ve come in the branch of robotics engineering. The Egyptian water clock is one of the very first cases of “robotics” in human history. The oldest example of the water clock, found in the tomb of Amenhotep I, dates as far back as 1500 BCE. An outflow water clock was marked along the inner container with measurement lines. The container was filled with water, which would drip over time. To tell the time, the owner would simply check the water measurement. Imagine only having to fill your watch with water when the battery died. However, what truly made this invention remarkable wasn’t the use of water to tell time. Rather, it was that the force of the water in the clock would bang gongs or strike bells on the hour with human figurines. Greece began using water clocks by 325 BCE. And, just 25 years later, the second known advancement in robotics was invented by Greek mathematician Archytas. Archytas designed and built what’s now called The Pigeon, a mechanical bird that could be propelled into the air by using steam. Leonardo Da Vinci was another remarkable mind in the engineering field. In 1495, Da Vinci designed and built what’s now called the Robot Knight. According to Mark Elling Rosheim’s Leonardo’s Lost Robots, the robot could sit, stand, and move its arms using pulleys and cables. In the western world, we only truly began to see the evolution of modern automation in the 17th century. Jacques de Vaucanson, a French inventor, developed three automata. The first automaton was capable of playing up to 12 songs on a flute. We can only thank De Vaucanson that it wasn’t a recorder. The second automaton could play a tambourine, drum, and flute. And the third, and most renowned, was a duck. The duck was capable of flapping its wings, moving, quacking, and even “eating.” The real-life movements and sounds could be compared to today’s baby doll. However, the first modern automaton would be invented in 1810 by Friedrich Kauffman of Germany. This robot was designed to look like a soldier. By using automatic bellows, the soldier would blow a trumpet. The development of mechanical programming was advanced by Ada Lovelace. Ada Byron, the Countess of Lovelace, was an English mathematician known for writing the first algorithm for the Analytical Engine. The Analytical Engine was a general-purpose computer proposed by Lovelace’s husband Charles Babbage, another mathematician. It was Lovelace who was able to recognize the machine’s applications and explain the machine’s function to the British establishment between 1842 and 1843. Lovelace died at the age of 36 and Babbage was never able to complete the Analytical Engine. However, the engine served as the precursor for today’s digital computer. In 1898, famed inventor Nikola Tesla constructed a wireless torpedo that could be controlled with a remote. It was a process he called “tele-automation,” and the robotic torpedo was demonstrated at Madison Square Garden. However, the term “robot” wasn’t used until 1921 when Karel Capek, a Czech writer, coined the word to describe automata in fiction. The complementary term “robotics” would later be made famous by writer Isaac Asimov in 1942. After the World Wars, Isaac Asimov’s robots didn’t just capture the popular imagination of Post-War America; they kickstarted a new era in robotics history. As soon as 1946, the Electronic Numerical Integrator and Computer, or ENIAC, was officially constructed. The ENIAC was one of the first electronic general-purpose computers and was programmed by Betty Jennings, Frances Spence, Marlyn Wescoff, Kay McNulty, Betty Snyder, Ruth Lichterman, and various others. Notably, Adele Goldstine authored the ENIAC’s program manual. Then in 1950, Ida Rhodes co-designed the C-10 programming language for UNIVAC I. UNIVAC I was the computer system that would later be used to determine the U.S. census. Also in 1950, George Devol would invent Unimate, the first industrial robot. Unimate could transport die castings and weld them into automobiles. Similar to modern automation in manufacturing and other industrial fields, these industrial robots would be programmed for a specific function as a means of replacing unskilled labor. Unimate was one of the most important milestones in the history of robots. The 1960s and 1970s were the decades of arm-like automatons. Shakey (1966), the Stanford Arm (1969), and the Silver Arm (1974) gave rise to Puma350 (1985) and CyberKnife (1992), which both served as innovative robotic technology in the medical field. In fact, these arm-like automatons resemble much of modern robotics. One such robot, developed by Albert Zhang, is the Expert Manipulative Massage Automation or Emma. A product of AiTreat, a Singaporean startup, Emma is a one-armed robot engineered to provide massage therapy to human patients. The automated side of robotics is well-known by many Americans even if they haven’t been given a name. How often have you noticed automated machines during the three hours you’ve been sucked into watching How It’s Made? These automated machines replace repetitive manual labor to give humans the ability to learn new skills in the same field. For instance, in the shipping industry, it takes 15 seconds for the average employee to assemble a complete box (including bubble wrap, tape, and barcode) for shipping. To assemble a box in that time requires familiarity, technique, and speed. Yet such a job doesn’t pay a high salary. Robotics that replace manual labor such as box assembly create higher-level job openings in the industry. These positions require greater skill and pay higher wages. Further advancements in technologies since the 2000s have led to more advanced automation and artificial intelligence. Automated machines are programmed to perform one action over and over and are used today in manufacturing, maritime exploration, space exploration, military, and commercialized agriculture. 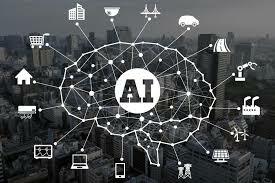 Artificial Intelligence, or AI, is programmed to assess an environment and take action to succeed at a programmed goal. Recent advancements in this field have led to software capable of preventing identity theft, producing relevant search queries for search engines, and cracking ciphers for the FBI. As we look to the future history of robotics, AI will likely play a major role. Video-on-demand websites such as Netflix and Hulu already use predictive analytics to recommend genres and shows to viewers. Algorithms that cluster recommendations based on show similarities improve customer satisfaction. Businesses are also prone to use sentiment analysis software to get an in-depth look into public opinions on products and services. This helps businesses market better to consumers. It also keeps them in the know regarding negative feedback so they can respond swiftly to minimize damage. The future of robotics: Where do we go from here? The future of robotics is difficult to gauge because of the rate of innovation. However, it’s predicted that robots will most likely play a greater role in the home and in the business world. Products such as Google Home, Amazon Echo, and Apple’s Siri have grown in popularity in recent years. Smart Homes have also been gaining traction because of their convenience and ability to save on utility bills, increase comfort, and improve security. Microsoft, Google, and Amazon have also been developing greater technologies for the business world. For instance, users of Microsoft Office 365 can now receive and make business calls within Microsoft Teams without using another app. What’s more, language recognition has seen new innovation with Google’s Pixel Buds, which translate up to 40 languages in real time. Automated robots are also expected to become more commonplace outside of manufacturing and shipping industries. Up to 35% organizations in health, logistics, and utilities are expected to begin exploring the use of automated robots as soon as 2019. Innovations in technologies such as self-driven cars may be less likely to take as big a stake in the future. Car accidents involving self-driven vehicles show the coexistence between impulsive human drivers and careful self-driving cars may be difficult. Space exploration is another field where robotics are expected to improve human advancement. Since the Soviet Union’s Mars 2 became Earth’s first interplanetary robot when it landed on Mars in 1971, engineers have been developing newer and greater technologies. For instance, one of NASA’s newest developments, the ISS Robotic External Ammonia Leak Locator, detects ammonia leaks on space stations. By using a robot to detect leaks and to repair them in the future, the risk for NASA’s crew members is reduced. That being said, the innovations of new technology will continue to rapidly develop, but not necessarily in the way science fiction predicts. Rather, breakthroughs in automation and programming will continue to improve what humans have been seeking to advance for years: communication, education, and life itself. Dennis Spaeth, electronic media editor at Cutting Tool Engineering, holds a bachelor’s degree in journalism from Northern Illinois University. Including nearly 9 years at CTE, Dennis has more than 30 years of daily newspaper and trade journalism experience.